Barry Wilson has been out of football since leaving Elgin City in 2014. Barry Wilson had resigned himself to leaving football for good until an offer to join Caley Thistle’s coaching staff came up. 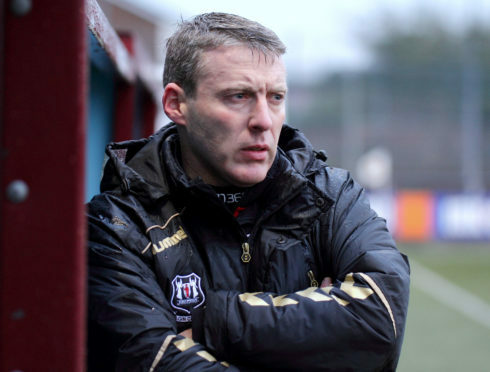 Former Inverness midfielder Wilson this week brought an end to a four-year absence from the game since leaving Elgin City, accepting a role as first-team coach. Media work and his business was something he was happy with. However, in the back of his mind he told himself the only job he would return to football for would be at Caley Thistle. Wilson said: “I had pretty much given up hope of getting involved in the game, so it didn’t take long to make my mind up. I was happy and the only thing that would have got me back into football was an assistant or coaching role at Inverness. “A lot of people asked me about getting back into football but when John got the job, Brian Rice was still under contract, so obviously there was no issue there. The 45-year-old, who had two separate spells with Caley Thistle and played under Robertson, will pass more responsibility for his business on to his sister-in-law to allow him to focus on coaching. His role will also include assisting Ryan Esson with the under-18s. He enjoyed his media work, even if it came at a torrid time for the club, watching on as the club’s seven-season stint in the top flight came to an end under Richie Foran. Wilson said: “The only thing I didn’t enjoy was having to be pretty critical. You could see from the sidelines things weren’t right and I still cared about the club.